Facebook owned Instagram has witnessed a boom in international followership, which since acquisition, Instagram has seen its users' stats soar to over 700 million monthly active users globally. And this numbers, it usurped from Snapchat - its closest rival, whose growth starting from Q4 2015, slowed to 13.8 percent, 14 percent in Q1 2016 and 17.2 percent in Q2 2016 to reach 143 daily active users. Snap, the parent company of Snapchat, teamed up with Google to host the #MyFutureMe contest, a coding competition inviting young people to create a new filter for Snapchat. As part of Google’s Made With Code program, the initiative is an attempt to integrate pop culture into computer science, making it essentially a youth-friendly experience. While Snap has sought to stay one step ahead of Instagram in terms of new features; the partnership with Google as a complete coding activity is aimed to help build Snapchat Geofilter that expresses the vision for the future. With Instagram encroachment on Snap’s international youth markets, and copying its best features, it has potentially sidelined Snapchat. But making coding applicable to where teenagers spend most of their time, is perhaps the best way to ignite their interest. 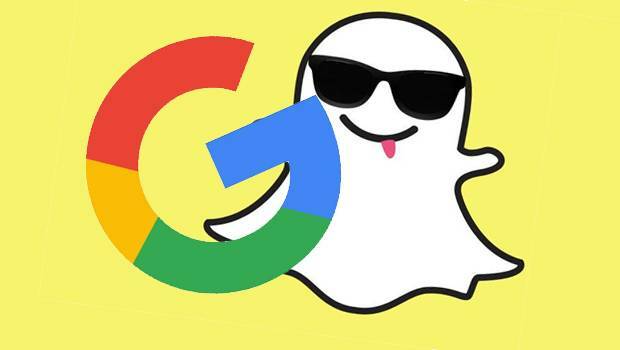 The close bond between Snap and Google, however could have stemmed from the fact that Snap has a five-year $2 billion deal to host its services on Google's cloud; albeit perhaps there are rumors about Google trying to snap up Snap. Facebook has something to worry as the cozy relationship between Google and Snap rolls on, given the proven Google effect! Should Facebook be worried about Snap's romance with Google?